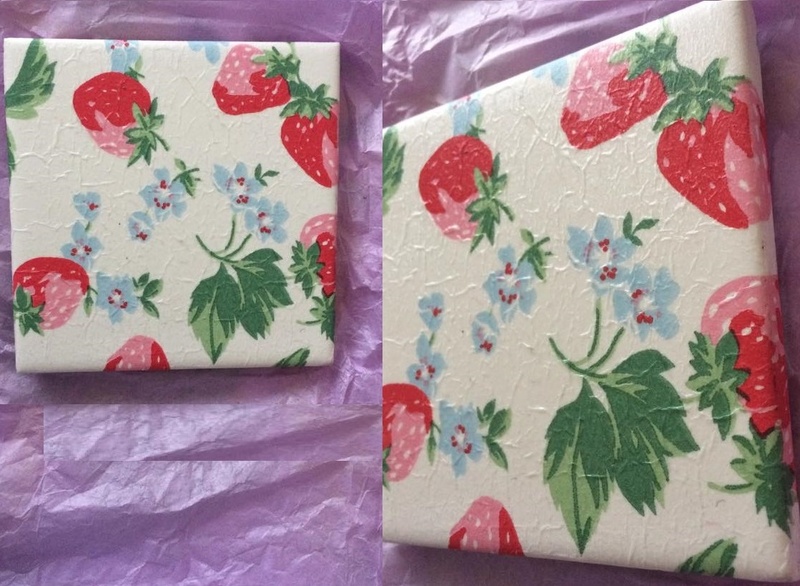 You guys know my love of decoupage so when I saw the most gorgeous hand-decorated coasters on Lolly's Little Gift Shop - I had to have a look. They're made from clay from what I can gather and then decorated with Cath Kidston and Emma Bridgewater papers. They are then coated in clear varnish. I went for the Cath Kidston Strawberry one as it's my fave. It's very sturdy and neatly decoupaged - and of course the design is gorgeous. 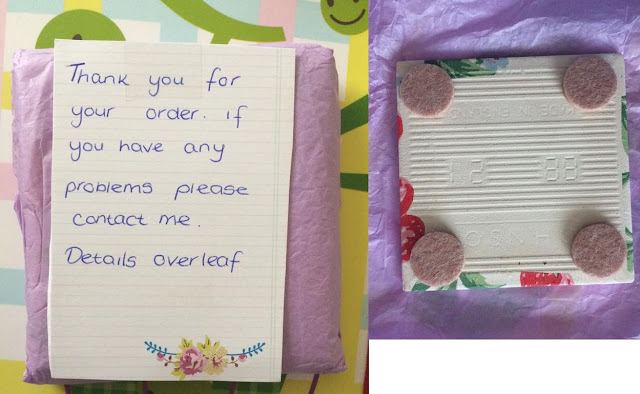 My order was packaged beautifully in tissue paper with a cute floral note. I have pictured the underside of the coaster here too, and as you can see it's very well made. Check out Lauren's coasters and other cute bits here.